In a week, it’ll officially be a full 3 months since the controversial words of “We can and we will” came out of Leafs’ GM Kyle Dubas’ mouth. Dubas in my opinion is doing a great job. One example is the drafting of 29th overall defenseman Rasmus Sandin. Most fans were bashing him for picking from his old team and Sandin being a left shot, when the Leafs are the weakest on the right. Yet, if you have seen Sandin’s pre-season performance, you’d say otherwise. Now on Willy and his silly old contract extension. Oh right, he doesn’t have one. Nylander has been an unsigned restricted free agent, or RFA since the last week of June 2018. Many “insiders” from Sportsnet and other news broadcasting companies said that Nylander and co. wanted 8 million dollars of a AAV (or final salary average). I personally, and many fans can agree, that that is way over his value. But in this article, I will explain why this demand seems reasonable in some sort. First reason is the salary cap continuing to increase. With the success of an expansion to Vegas, the cap increased to 79.5M this season. That left the Leafs with about 13M or so in cap space, after signing Tavares. What does this have to do with Nylander, you may ask. As the cap goes up, players will want more money as teams can most likely start to afford it. One good example is the recently signed contract extension of Tom Wilson. He’s making 5.16M a year with 35 points (a career high) last year. Then I remembered, salary cap inflation having an impact on a new contract is sadly a thing. This is basically the player asking for more money but still valued the same to a comparable. An example is David Pastrnak. Nylander is expected to be valued near Pasta’s 6.6M AAV. Now add the cap inflation and that brings him to around 7.3M. Second reason is the amount of years Toronto is willing to buy. 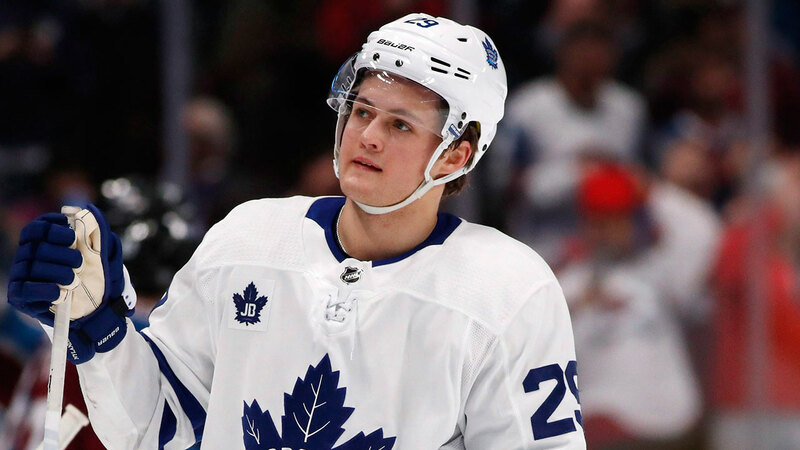 The Leafs and Nylander are both reportedly interested in a long term deal. If the Leafs offer him, let’s say a 6-8 year deal. They’re buying 1-3 years of his UFA years (which is expensive). I would be very happy if they offered him a contract in the range of 7.3M/5 YR.
William still has until December 1st, 2018 to sign a contract or he doesn’t play for the rest of the season. Let’s hope he signs very soon. Follow @ChrisAdamoTTS on Twitter for TML related content. When you look at Nylander, you also can’t help but see a player that could take a big step forward and certainly has the potential to produce like Kucherov going forward. In this stalemate, it seems like that is what Nylander is projecting for himself, and he wants to be paid now like he’s going to produce at that level.